Yes, it is April and it is snowing. 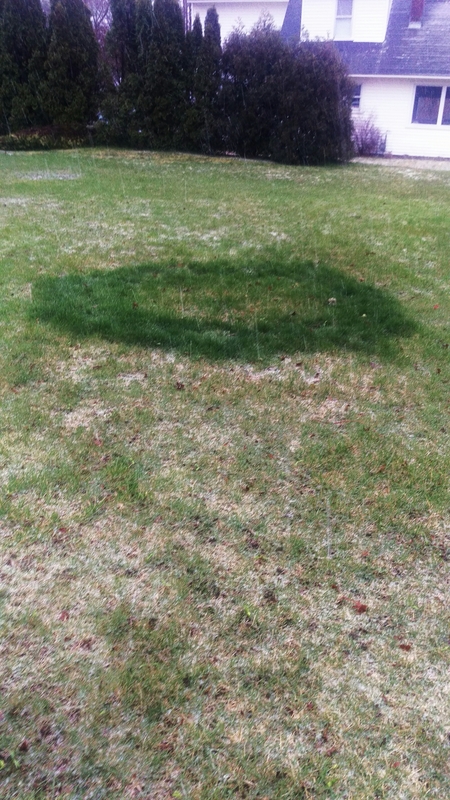 But riddle me this Batman: why is there a bright green circle on my lawn miles away from the septic tank? Nocturnal faerie urinal? Mushroom phenomena? Harbinger of the Rapture? Alien landing spot for the invasion? Might it be the site of a long gone tree whose root structure rotted and still feeds the soil? Is it a shallow rooted grass that you can easily pull up by hand? It’s under a few inches of snow at this point. I don’t think it’s especially shallow though.